News from LMCU: Investing for your later years? Think asset preservation but don’t forget growth. Investing for your later years? Think asset preservation but don’t forget growth. After years of investing for retirement and other goals, you may have accumulated a substantial portfolio. If you’re approaching or already enjoying retirement, there are important steps that you can take to help ensure that your investment plan -- and your nest egg -- is on track for your Golden Years. 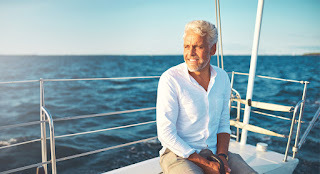 Reassess your income needs and portfolio -- A few years before a planned retirement, it’s important to know where your money will come from and how much you’ll need. It’s number crunching time. Figure out how much income you will receive from Social Security, a pension plan and personal savings and investments. Weigh your anticipated income against your estimated living expenses; be sure to pad your estimate to account for unexpected events or market drops. Do the two match up? If not, review your portfolio with a qualified financial professional. Hedge against inflation -- Your investment focus will probably shift from growth to income in your later years. Naturally, you want to help protect your nest egg from market volatility. But that doesn’t mean moving your portfolio’s entire stock allocation into less risky holdings— like bonds and cash. People are living longer, increasing the risk that some will outlive their money. You may want to gradually shift some stock investments into more liquid, income-oriented investments. However, it may be important to keep part of your portfolio in growth-oriented investments -- stocks and stock funds -- to give your portfolio the potential to outpace inflation. Protect what you’ve achieved -- A solid financial plan also includes estate planning to help preserve assets for your heirs. “I’m all set,” you say. “I’ve drawn up a will.” A comprehensive and effective estate plan often involves a variety of tools in addition to wills, including trusts and different types of insurance. Talk with an attorney about your specific needs. Securities and financial planning offered through LPL Financial, a registered Investment Advisor, Member FINRA/SIPC. Insurance products offered through LPL Financial or its licensed affiliates. Lake Michigan Credit Union and MaxWealth Management are not registered broker/dealers and are not affiliated with LPL Financial.